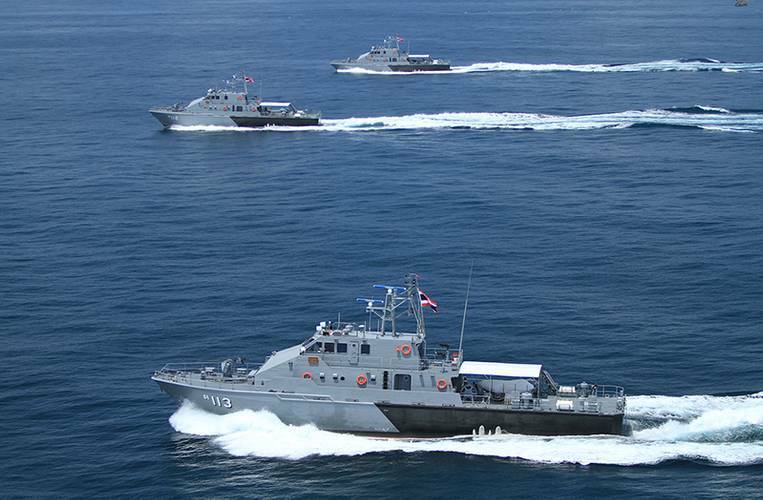 All three of the 36-meter patrol boats in formation. 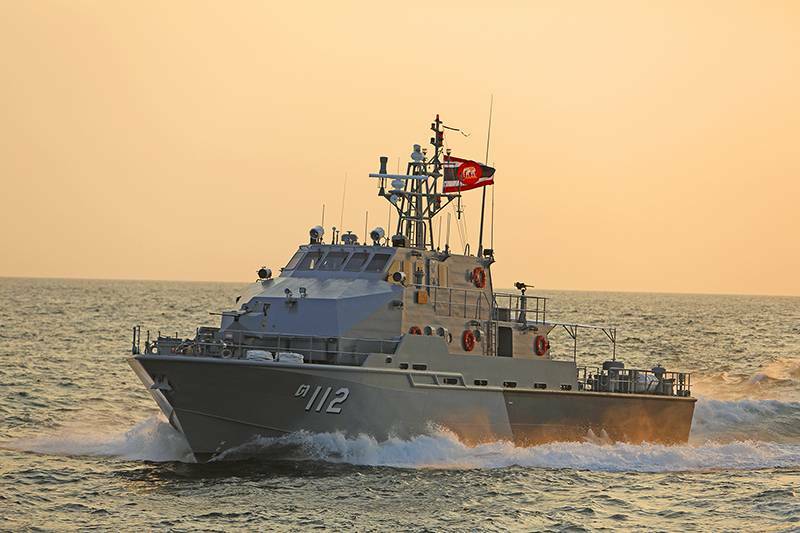 The 36-meter Royal Thai Navy patrol boat in the sunset. A starboard-side view of the Royal Thai Navy patrol boats. 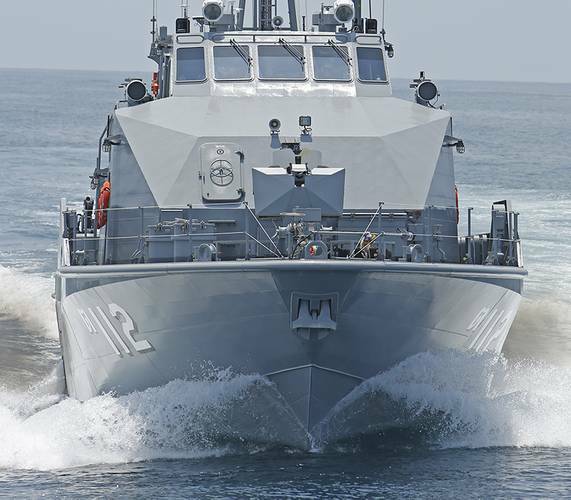 A port-side view of the 36-meter patrol boat. The functional bridge layout with the three Cummins engine controls to the right. Controls for the Cummins engines. A view of the bow shows the functionality of the crew boat hull. 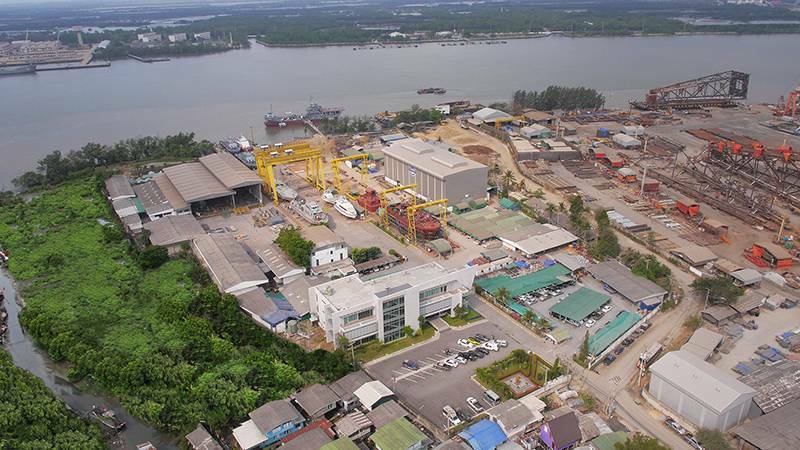 The Marsun’s ship yard in Thailand is a state of the art facility for aluminum and steel fabrication. 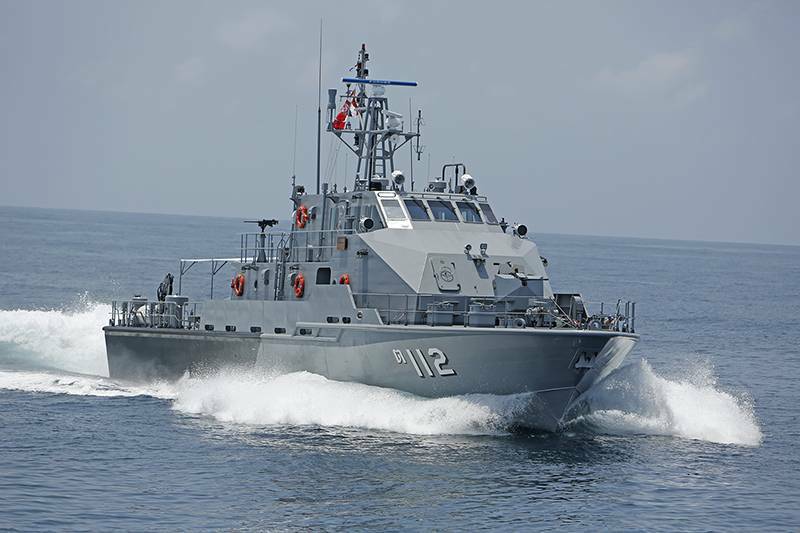 One of the Marsun-built patrol boats. 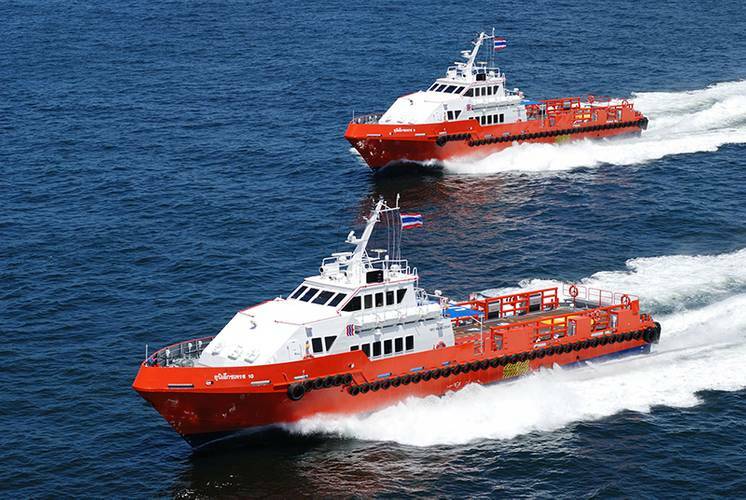 Over the past decade or so, as offshore oil has grown in importance, the development of vessels to meet the needs of the industry has made great strides. The needs for reliability in demanding sea conditions will put any hull to the test. It is not unusual for a commercial vessel serving the petro-industry to clock up 6,000 or more hours of operation per year. For vessels operating on time charter, downtime can be expensive. The versatile crew boats that have been developed to meet these expectations are particularly versatile. Their aluminum hulls and multiengine power provide safe transport of personnel and well as the versatility to carry significant cargos. Thailand’s Marsun Shipyard has built many of these boats over the years. With three Cummins KTA38 M2 engines each rated at 1,350 HP turning fixed pitch propellers the aluminum-hulled vessels make speeds in excess of 24 knots with positive sea-keeping abilities. Marsun also has a long established relationship with the Royal Thai Navy. Not surprisingly the crew boats for the petro industry drew the attention of some astute navy people and an idea was born. 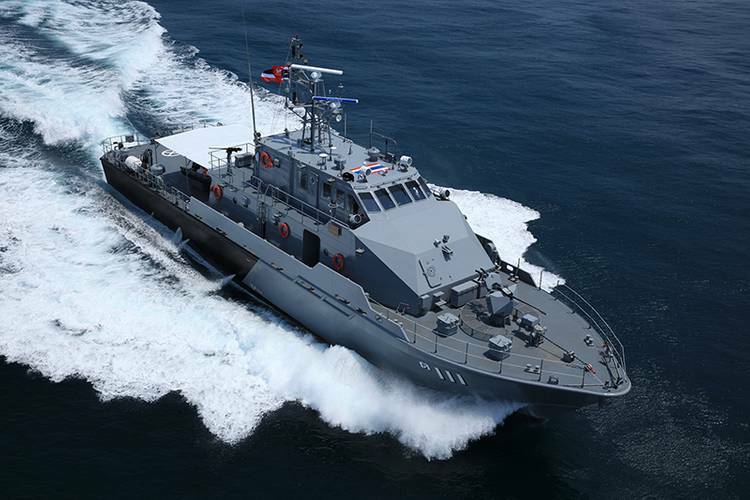 The concept of a military style patrol boat on a commercial hull platform was developed with the engineering departments of Marsun Shipyard and the Royal Thai Navy. A patrol boat required a larger superstructure as well as some armament. To accommodate the additional weight, with increasing speed, the design team decided to increase the horsepower of the navy patrol version. This was accomplished by replacing the Cummins KTA38 M2 engines with three 1,800-HP Cummins KTA50-M engines. The 36-meter hull maintained the same 7.6-meter beam and hull form. 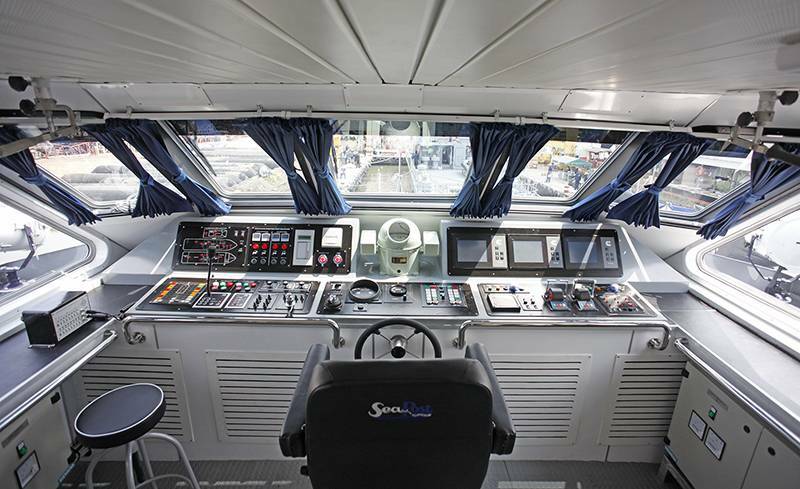 The latest three modified version vessels, with 63-square-meters of clear deck space, retain much of the 36-meter crew boat’s large 67-square-meter after deck. This gives the patrol boat the same 50-ton load capacity and allows the vessel to carry two 20-foot containers on the aft deck should the need arise. Modifications also give the vessel significant flexibility in operations, such as search and rescue capabilities, not found on most patrol vessels of this size. The aft deck is designed with the capacity to mount surface-to-surface missiles. The forward deck has installed a 20 mm machine gun (a 30 mm machine gun is an option). 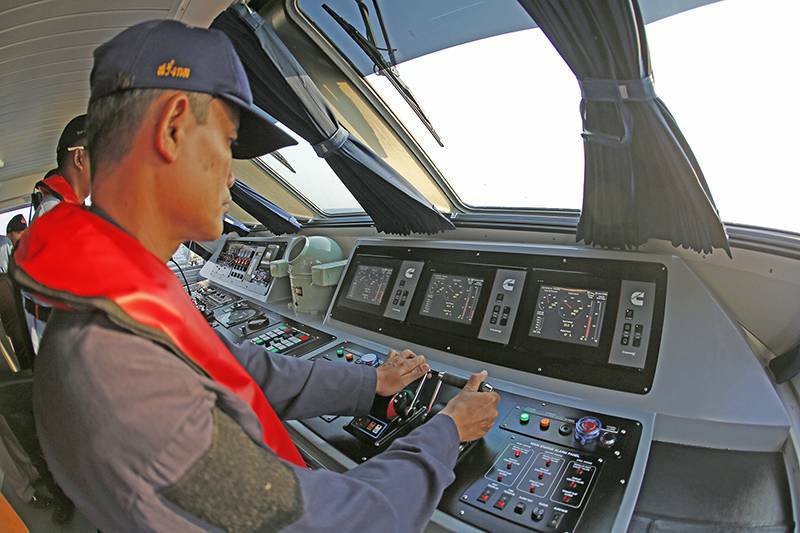 Additional flexible space is designed-in to provide a control system command room in future. The resulting patrol boat, with a total of 5,400 reliable horsepower, achieves speeds in excess of 27-knots. Although the larger engines require more fuel, navy specifications required less fuel capacity than the commercial vessel, which balanced the increase in engine weight. 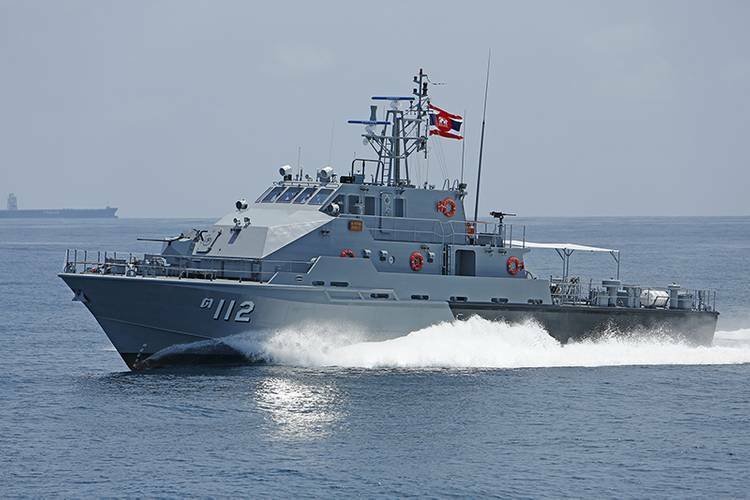 Overall the navy vessel has less weight and consumes less fuel than similar sized patrol boats while offering full functionality in sea state 5 conditions. The combination of a proven commercial hull and a functional patrol deck-layout and superstructure will continue to give good service under all conditions for many years to come.